Batelco, Bahrain’s leading digital solutions provider is delighted to announce the introduction of OSN Ultimate Entertainment as the new Batelco TV Basic package, which is now available for only BD10 per month, boasting top value for money for a comprehensive and fully loaded entertainment TV package. Subscribers to Batelco TV will enjoy an unbeatable selection of world-class entertainment channels including E! Entertainment, Discovery channel, Animal planet and popular kids channels such as Disney, Nickelodeon & Baby TV amongst many others. On top of this, movie lovers have the opportunity to subscribe to the OSN Movies and Ultimate movies add-ons, which boasts the latest and best HD movies. 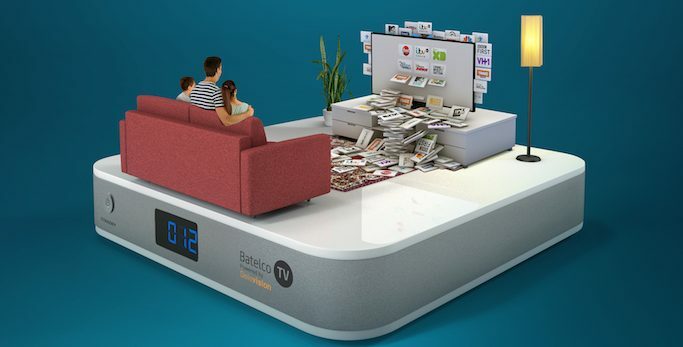 Batelco’s TV delivers great value for money and is available to add as a bundled offer with Batelco’s Home Broadband. Customers benefit from free broadband usage while enjoying Batelco TV and additionally they are assured of continuous high quality TV and video streaming. The introduction of the new Batelco TV OSN ultimate entertainment package is in line with the company’s on-going commitment to deliver the best and most innovative services for its customers to exceed their expectations. For more details, customers are invited to visit Batelco.com or visit any Batelco Retail Shop to subscribe.